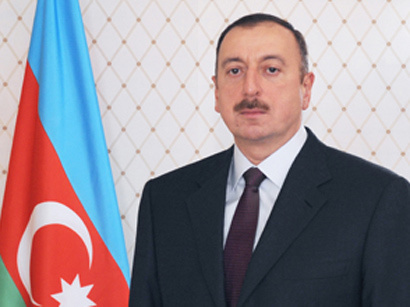 The Azerbaijani state, following the precepts of national leader Heydar Aliyev, is attentive to the fate of its compatriots living in other countries, attaches special importance to the protection of their rights and the issue of rallying around the idea of national-spiritual unity. It is gratifying that our compatriots living in foreign countries also strengthen their ties with the Republic of Azerbaijan and demonstrate their love and devotion to the Motherland. The Fourth Congress of World Azerbaijanis held in Baku in June 2016 has been an important event on the way to further strengthening the unity among our compatriots living abroad and expanding the activities of Diaspora organizations. I have no doubt that our people will work hard to accomplish the tasks set forth by the Congress and will do everything in their power to achieve them. Azerbaijan’s fair position is gradually gaining more and more support of the international community. The contribution our country is making to the promotion of intercultural dialogue and solution of global humanitarian issues, our respect for multicultural values and the traditions of tolerance have earned our people great sympathy around the world.